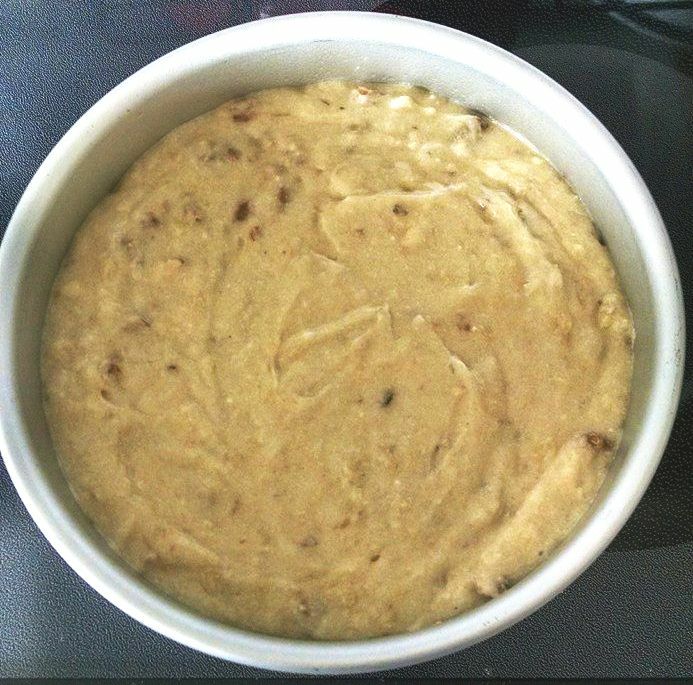 Pressure Cooker Grandma Mills’ Banana Nut Bread is a moist and delicious dessert bread that cooks in the Instant Pot or Pressure Cooker. Banana Bread is one of those sweets that just about everyone loves. Jan Borden Freeman is a wonderful baker, as a result of her Grandma Mills teaching her to bake when she was in her 20’s. Jan purchased an Instant Pot, Mealthy MultiPot or Pressure Cooker last year and has been cooking up a storm. Her most favorite and prized recipe from her Grandma is the Grandma Mills Banana Nut Bread. 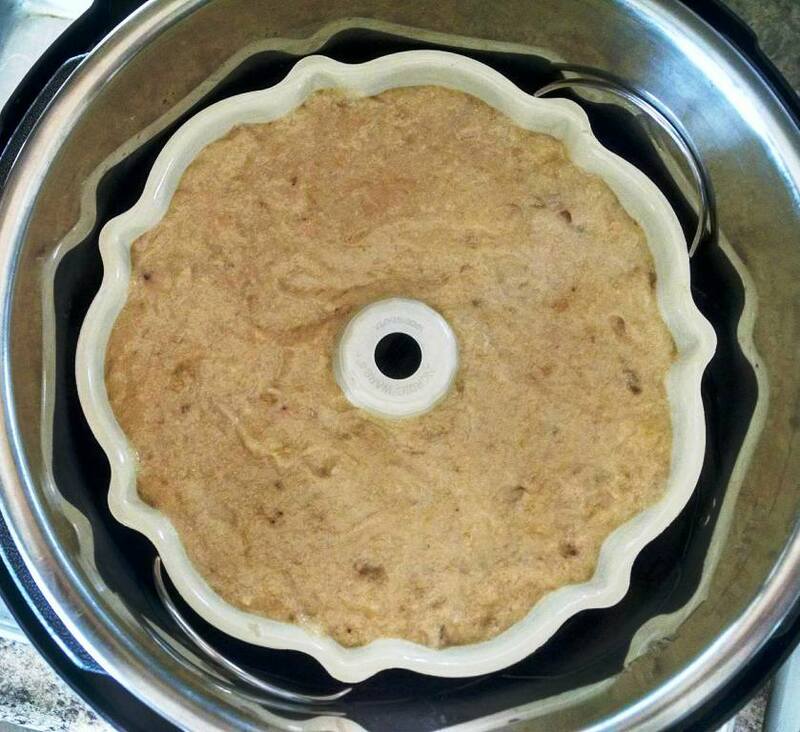 She realized that baked goods were not only possible in an Instant Pot, Mealthy MultiPot or Pressure Cooker, but they come out very moist and delicious. Jan decided to convert her Grandma’s famous Banana Nut Bread and the very popular Pressure Cooker Grand Mills’ Banana Nut Bread was born. Click to purchase this Nordic Ware 6 cup Bundt Pan. The above photo of Jan’s cake is so beautiful, so I wanted to show case it. 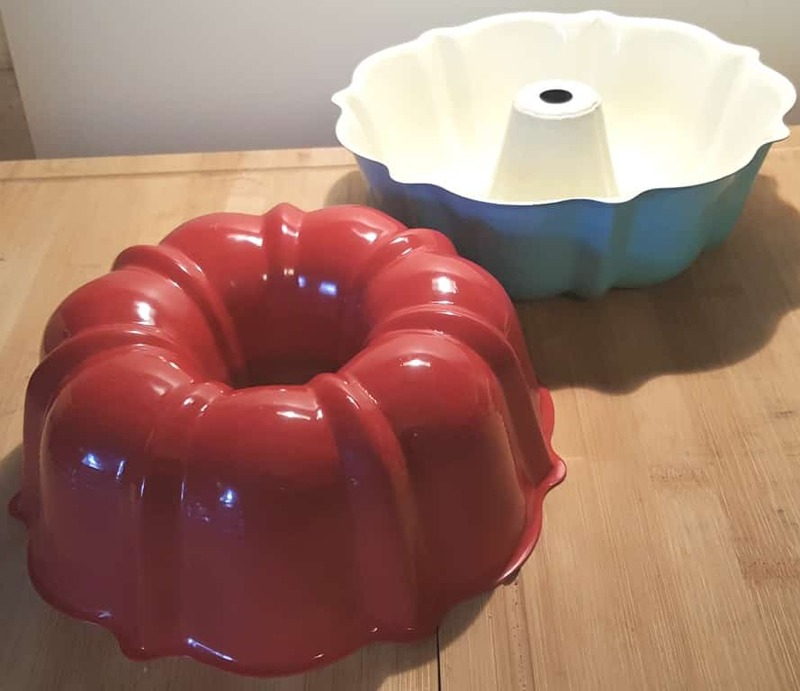 However, Jan says she gets her best results using this little Nordic Ware 6 cup Bundt Pan. Pressure Cooker Grandma Mills’ Banana Nut Bread is always a hit with Jan and her family. All the kids’ kids, still make this wonderful bread and remember their Grandma. Jan wanted to give the history behind the bread and talk a little about Grandma Mills. 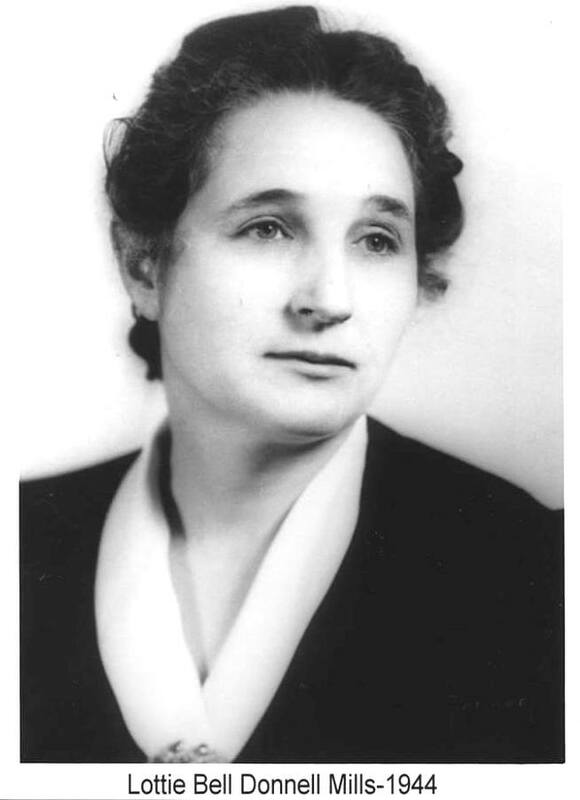 She says: “Lottie Mills was a dear Christian woman from Oklahoma City. She loved to cook meals and bake desserts. Just Take Me To the Best Banana Bread Recipe Ever! Get yourself a second and third silicone gasket/seal. They are super cheap. They come in colors. We use one for sweets, one for savory and one for strong smelling recipes like my incredible Instant Pot Butter Chicken recipe. In a Medium Mixing Bowl, add butter, sugar and eggs. Using a Hand Mixer, beat until combined. Make sure to scrape down the sides of the bowl. There should be no sugar granules left in the bowl. Place bananas in a Small Mixing Bowl and mash well. Add the mashed bananas to the butter, eggs, sugar mixture and gently beat to combine. Some people like nuts in their bread, others don’t. This is a personal choice. I don’t want you to end up with a rubbery or a brick Pressure Cooker Grandma Mills’ Banana Nut Bread and then blame the recipe. 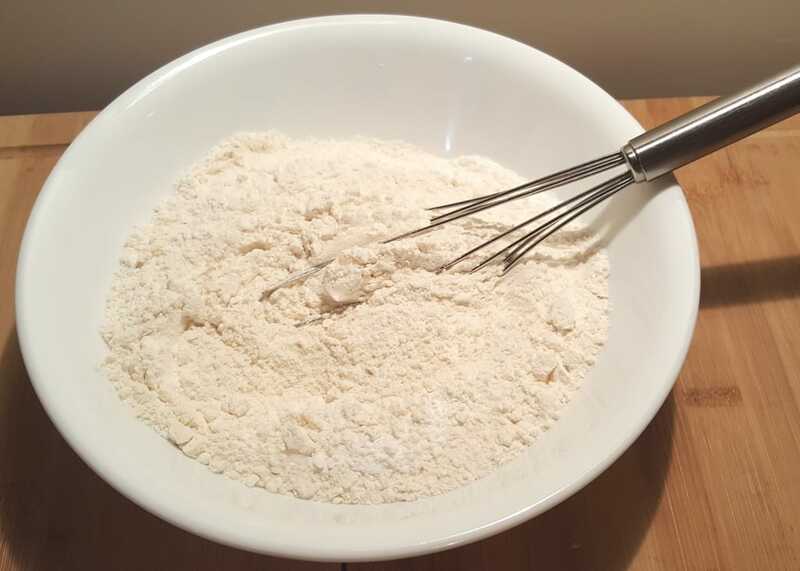 Besides incorrectly measuring the flour, over working a batter will also lead to a heavy and dense bread. So, now that you know How to Properly Measure Flour, measure out the two cups of Flour. You did read that article, right???? Okay, then, add the rest of the dry ingredients into the Medium Mixing Bowl and beat just until combined. Do not over work your batter. Doing so will cause a very heavy and dense bread. If using walnuts or your favorite nut, gently fold them in now and combine by hand. If you want to use Chocolate Chips, hand fold them in now. 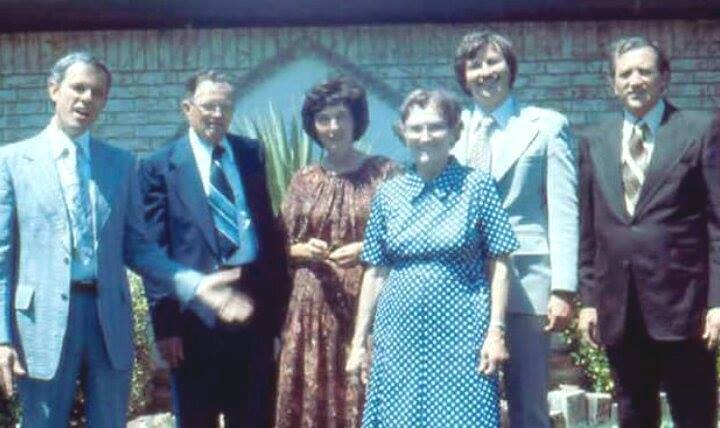 Grandma and Grandpa Mills had five children. The above photo shows the lovely couple with their children. Jan goes on to say: “This Pressure Cooker Grandma Mills’ Banana Nut Bread is just one of her many recipes. 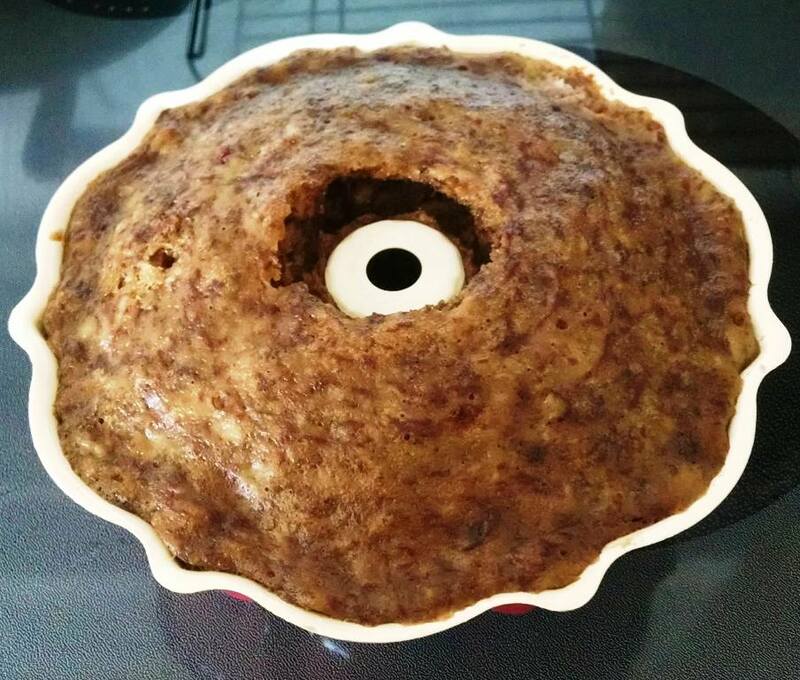 She created this Pressure Cooker Grandma Mills’ Banana Nut Bread many, many years ago. Her recipe was in her head and she measured the ingredients with the palm of her hand or by the pinch. One day we made a loaf of banana bread with her. As she eyeballed the ingredients in the palm of her hand or by a pinch, we measured everything and wrote it down. If you don’t have a 6 cup Bundt Pan, grease a 7 inch Push Pan or 7 inch Cake Pan and place a Parchment Round in the bottom. Grease the Parchment Round too. Pour the batter in and jiggle the Bundt Pan, so that the batter is even. You may need more time, if using a Cake Pan instead of a Bundt Pan. The Bundt Pan is the preferred pan and will give you better results, time and time again. 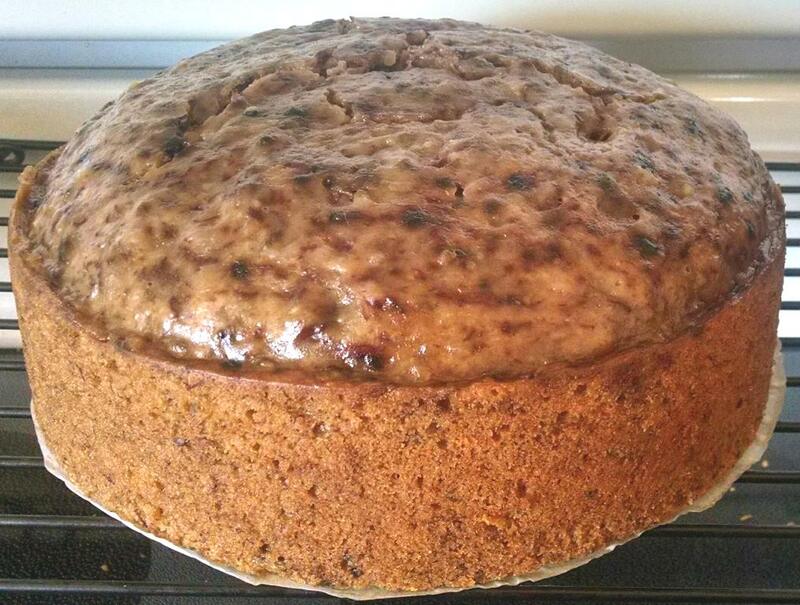 “A few months after I got the Instant Pot, I saw a pressure recipe for a carrot bread or cake. I thought I would experiment with Grandma’s recipe. I love the way it turned out. 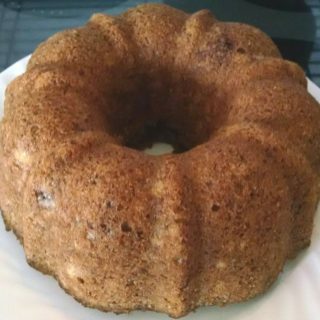 The taste reminds me of Grandma Mills, but the Pressure Cooker Grandma Mills’ Banana Nut Bread is more moist because cooking it in the pressure cooker. The Pressure Cooker Grandma Mills’ Banana Nut Bread cooks for about the same amount of time as in the oven. As I said, it’s more moist…and it’s fun being able to use my Instant Pot. Jan also uses a 6 cup Bundt Pan (which I find gives a more even bake) for this recipe to change things up a bit. Grease and flour the bottom of the pan, since parchment paper wont work well. Add some water to the bottom of your Instant Pot, Mealthy MultiPot or Pressure Cooker and place a Trivet inside. Place the cake pan of batter on top of the Stainless Steel Trivet. A 6 cup Bundt Pan works best. If you don’t measure the Flour properly, you WILL end up with a rubber/brick Banana Bread. 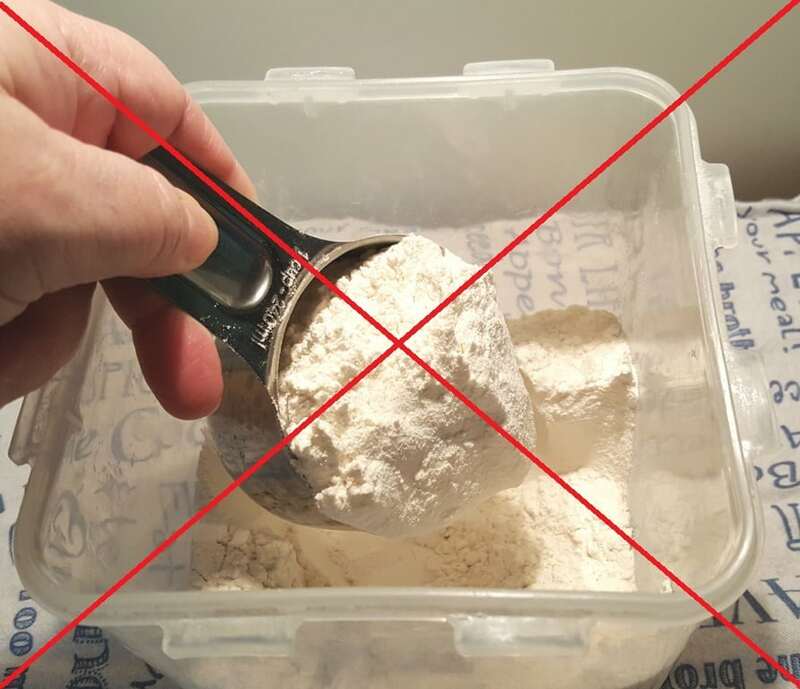 Please read my article How to Properly Measure Flour. Over working the batter will cause a dense and heavy bread. Allow the pressure to release for a bit. Grandma Mill’s Banana Nut Bread will rise nicely. Allow it to cool, before slicing. Jan hopes you will enjoy her Pressure Cooker Grandma Mills’ Banana Nut Bread, as much as she and her family have been enjoying this for years. Pressure Cooker New York Cheesecake [Instant Pot] – the BEST recipe ever! You must make this right away. Enjoy this recipe from the oven or from the Instant Pot, Mealthy MultiPot or Pressure Cooker. In a medium bowl, mix together butter, sugar and eggs. Beat at high speed until light and creamy, making sure to scrape the sides of the bowl, so that all sugar is mixed into the butter and eggs. Add all dry ingredients, except walnuts and beat until just combined. Fold in walnuts and/or chips, if using. Pour into greased/floured 8 inch loaf pan. Bake at 350° 60-70 minutes. Grease a 6 cup Bundt Pan. Line the bottom with a parchment round or paper, if you like. Pour in batter and smooth it out so batter is level. Add 1.5 cups of water into Pressure Cooker cooking pot. Place Trivet in Pressure Cooker cooking pot. Place cake pan on Trivet. Lightly cover the pan with a piece of paper towel and then a piece of foil. Lock on lid and close Pressure Valve. Cook at High Pressure for 55-60 minutes. When Beep sounds, allow a 10 minute Natural Pressure Release. 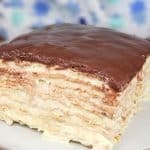 Allow cake to cool in pan. Turn it into French Toast! 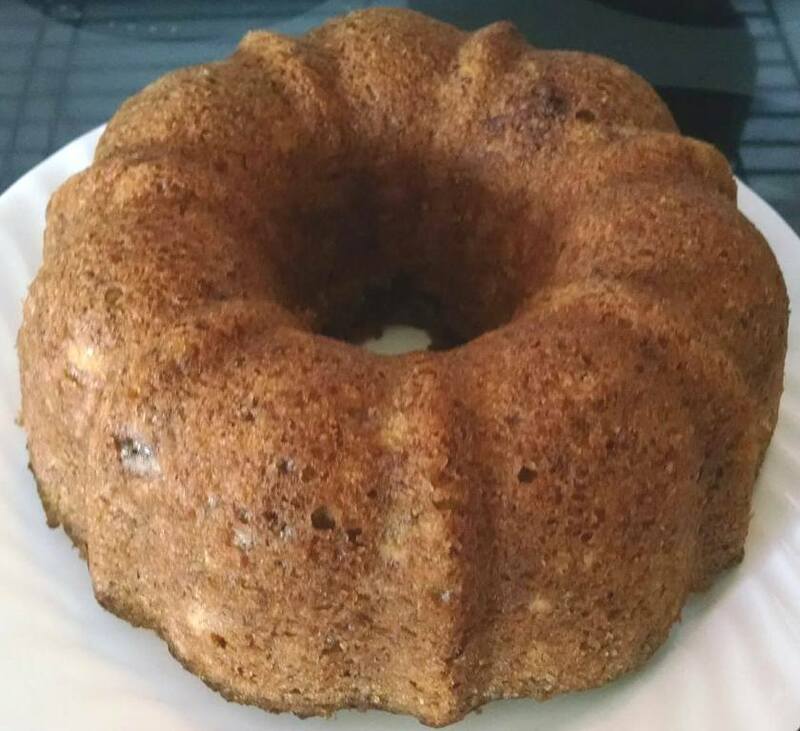 PIN this Pressure Cooker Grandma Mills’ Banana Nut Bread! Do you think this could be made in an air fryer? This is my go to recipe for banana bread. Spectacularly delicious! Used a 6 cup ceramic bundt pan, added chopped walnuts and Ghirardelli dark chocolate chips per the recipe, vanilla, and a rounded teaspoon of Penzey’s Baking Spice. About a third of the flour was King Arthur white whole grain. Also gave it about a teaspoon of a natural banana extract to enhance the flavor. Allow plenty of time for it to cool in the ceramic pan. Will definitely make again. I made this and it was the best banana bread I’ve ever made. I read all about how to measure flour (thank you). I only had a springform pan so I used that. I had to put in back in And cook it for another 20 minutes and it was perfect. I would leave off the paper towel and use parchment covered with foil next time. Thanks for the recipe. I got the bundt pan, followed the directions exactly and it came out perfect. Thank you, my family is exuberant and everyday ask if I’m going to make it. Our kids showed me this banana bread hell yeah video. Caution, a lot of F word. This bread looks amazing and who doesn’t like banana bread. I appreciate all the time and effort you put into your blog. However, I hate to waste my time and ingredients. Cover or don’t, cover the pan which one? Do you have any suggestions for butter replacement in this recipe? I used all purpose gluten free flour by weight and it worked perfectly! It’s so light and fluffy you would never know it’s gluten free! Thank you! !